ST. GEORGE – When you hear the words “true grit,” whether one is talking about the now classic John Wayne movie or just using the words as a descriptor, in general you know that something tough and challenging, yet awesome and exciting, is in the mix. 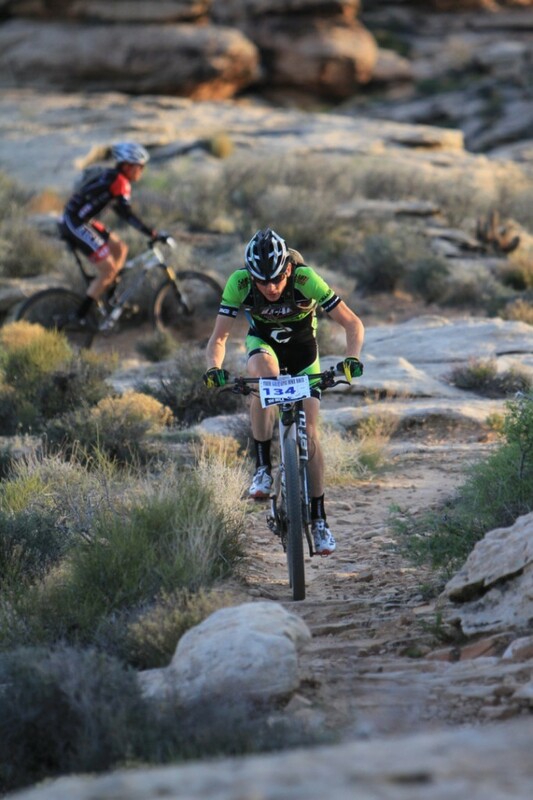 The True Grit Epic Bike Race, with a course spanning some 100 miles from Tonaquint to Santa Clara and back, is no exception and was run for its third year in Southern Utah Saturday. Offering three race choices, the Epic 50 covering 51 miles, the Epic 100 covering 89 miles, or the Challenge course covering 23 miles of the course’s toughest trails, the True Grit Epic is a genuine cross country mountain bike race which competitors rode nearly entirly on dirt for the first time this year. 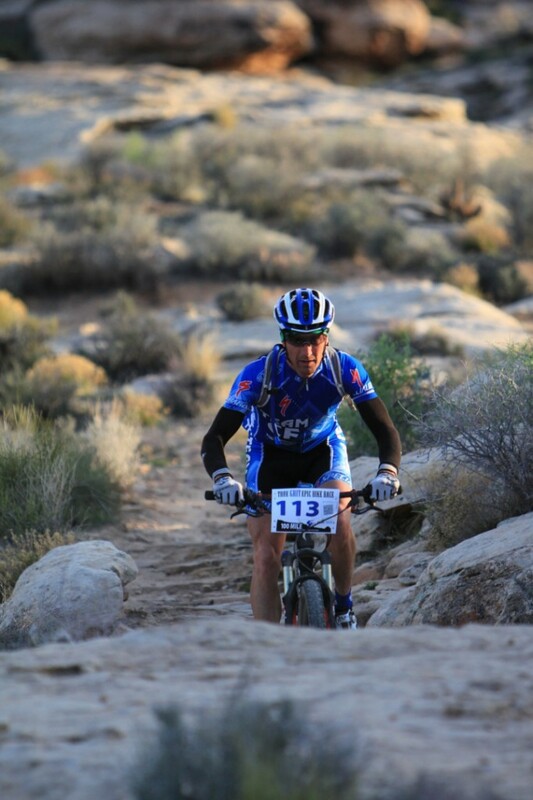 In this, its third year, the Epic 100 option of the True Grit Epic Bike Race has been accepted and included as part of the National Ultra Endurance Race series, a nationwide series drawing competitors from all over the United States and Canada. The National Ultra is a 14-race series which is held all over the nation. 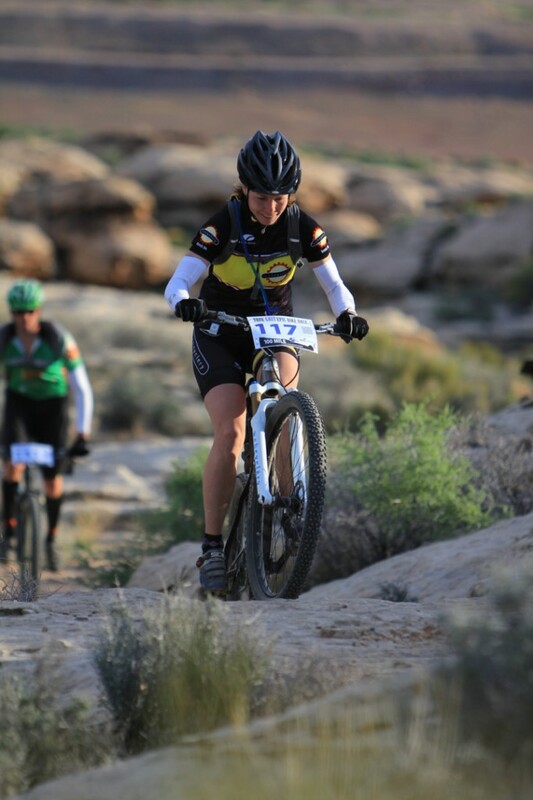 Southern Utah’s True Grit Saturday was the first of its 2013 races. 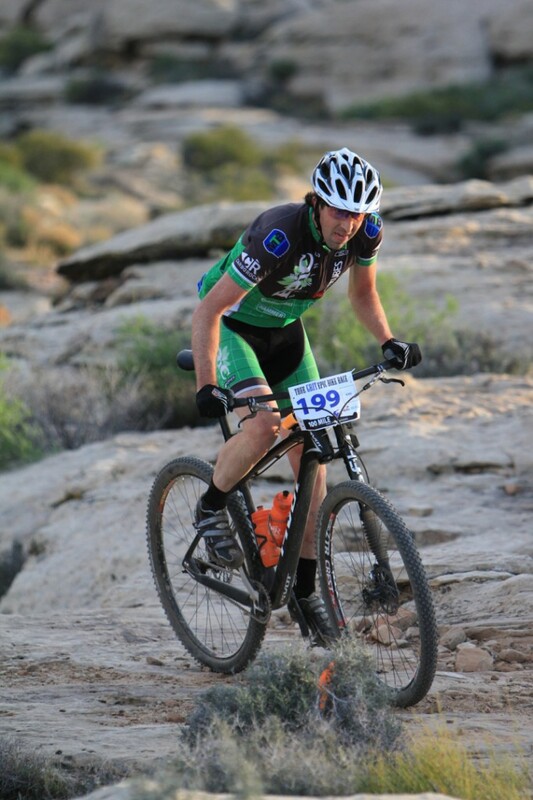 The True Grit Epic Bike Race is a Gro-Promotions event, a locally owned company, distinguishing the race from other races brought in by outside promoters. Five years ago, Gro-Promotions’ owner, Cimarron Chacon, began planning the True Grit races. 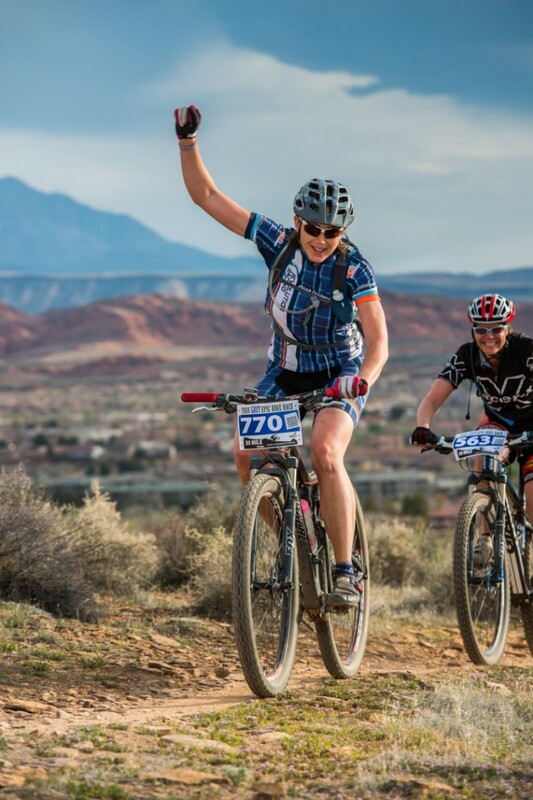 Chacon, who is also Dixie Mountain Bike Trails Association Director and Government Liaison as well as an also-ran for Utah’s House District 75 in the 2012 election, wrote an environmental assessment to make sure they had a rock solid course that was environmentally sound. “We worked with Fish and Wildlife Service, worked with SITLA (School and Institutional Trust Lands Administration in Utah), City of St George,” Chacon said, “and now with the Washington school district,who’s been great enough to let us move our venue over here,” adjacent to Tonaquint Intermediate School – where the end of Curly Hollow road meets the Tonaquint dirt. The planners took into account the area’s 3 eco-tones, home to many rare plants and animals habituated in parts of the True Grit course, including the bear claw poppy , desert tortoise, and lands with cryptobiotic soils. 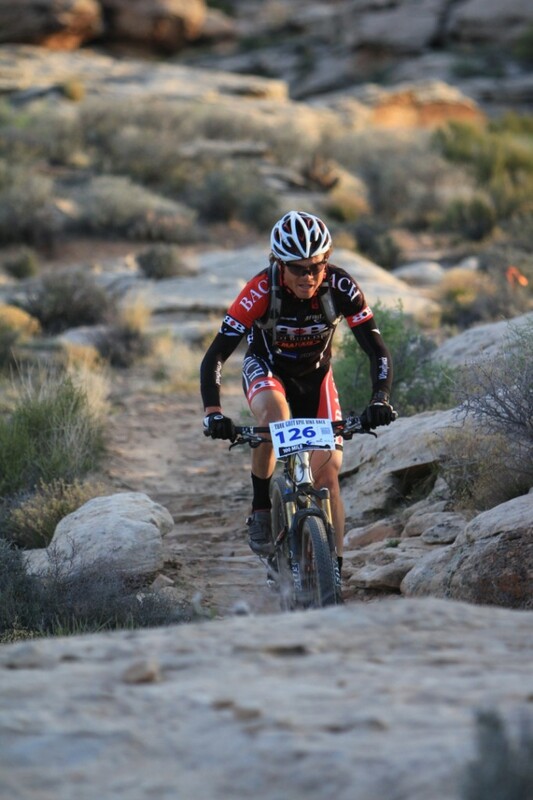 Chacon, who has biked all areas of the course helped to authorize and design many segments of the course herself. 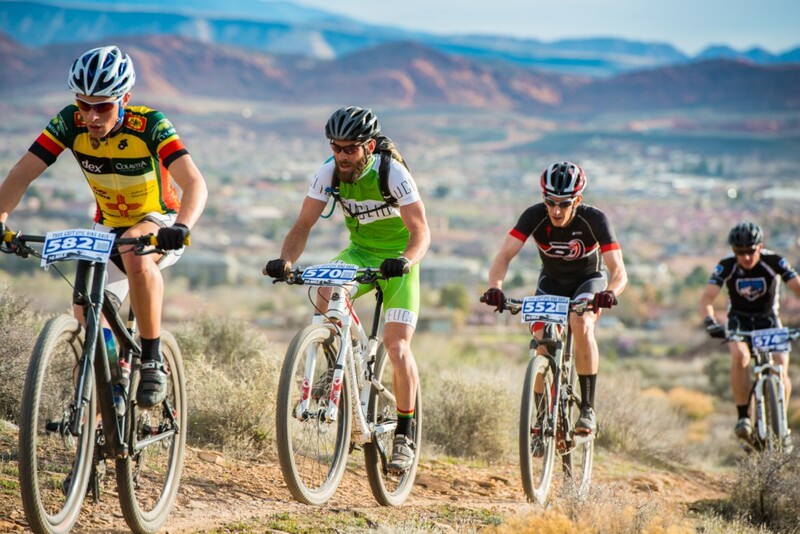 With the weather being as nice as it was, typical of St. George in March, NUE Series director Ryan Odell said that it is very likely that the True Grit Epic will kickoff next year’s endurance race series in St. George again. 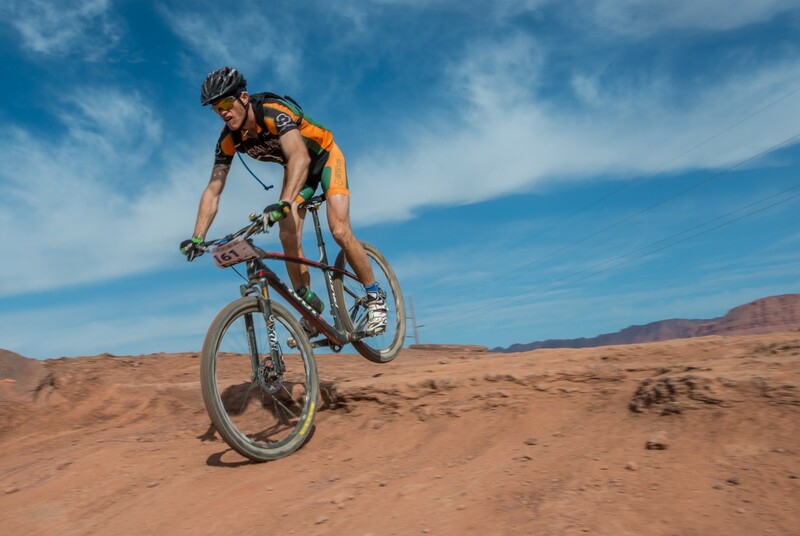 The race is “a mountain biker’s race,” boasts the True Grit website, reflecting that first-time racers do well but urging advance training and the right bike. An estimated 370 racers traveled the Barrel Ride, Zen trail, upper Bear Claw Poppy trail, Stucki Springs trail, the Rim Runner and the Barrel Rolls trail in this high endurance race in higher than usual March temperatures that reached the low 80s on Saturday. 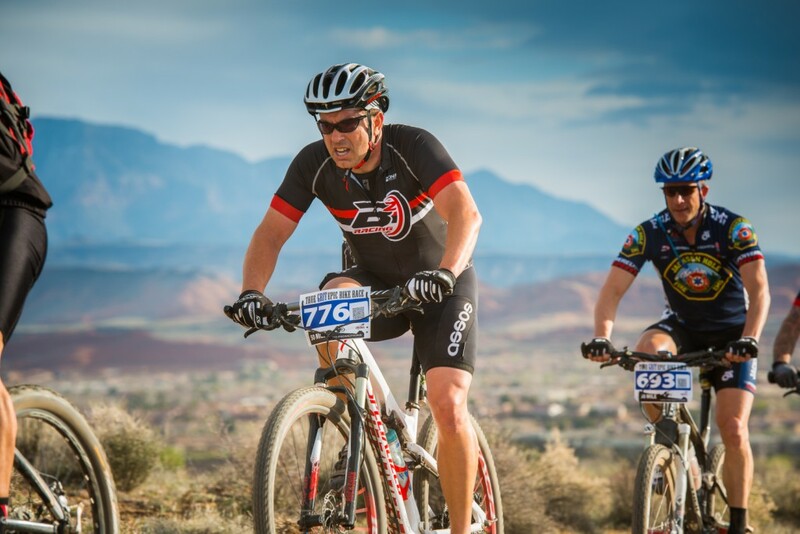 Many different trails brought a variety of terrains such as sandy washes, random large boulders and steep climbs but it all paid off for the cyclists, offering them views of plateaus, red mountains and white cliffs as they showed their true grit from start to the finish line. 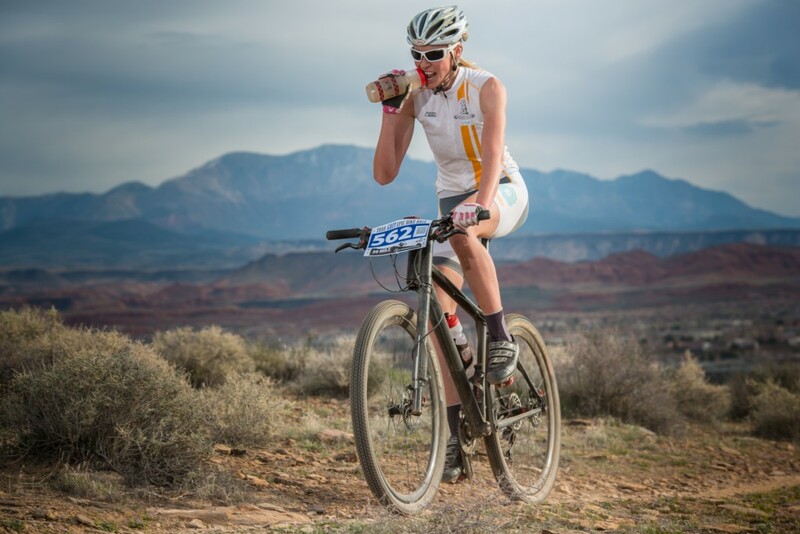 It took two days for Alice Drobna to drive to St. George from Bend, Ore. “I think girls are getting more and more into the sport of endurance racing,” she said. Like Mattie Ross in the movie to which this race is namesake, women of True Grit have no hesitation to take on the tough and rocky roads of the wilderness, showing their male counterparts they can race with the best of them. Julie Urlaub laughed when asked about trading in high heels for cycling shoes. 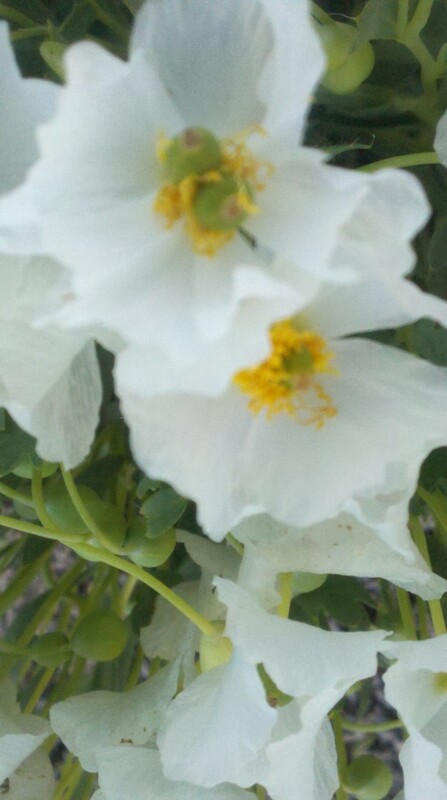 She said she does it to get to know herself better and she often spends hours alone on trails in the wilderness. 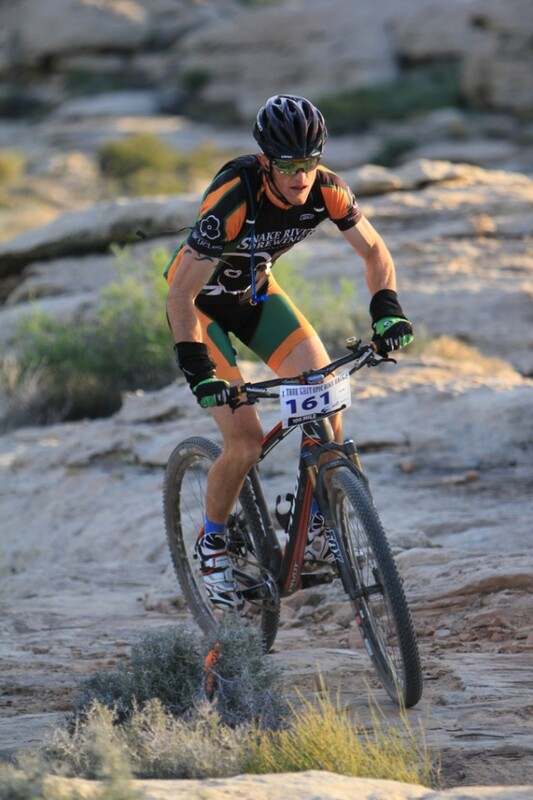 National Ultra Endurance Series director Ryan O’Dell appreciated the weather and said that it is very likely the True Grit Epic will be chosen for the kickoff in next year’s endurance race series as well. The race began at 7:20 a.m. Alex Grant came in first place seven hours later, with a total of 12.74 mph on the Epic-100 race. 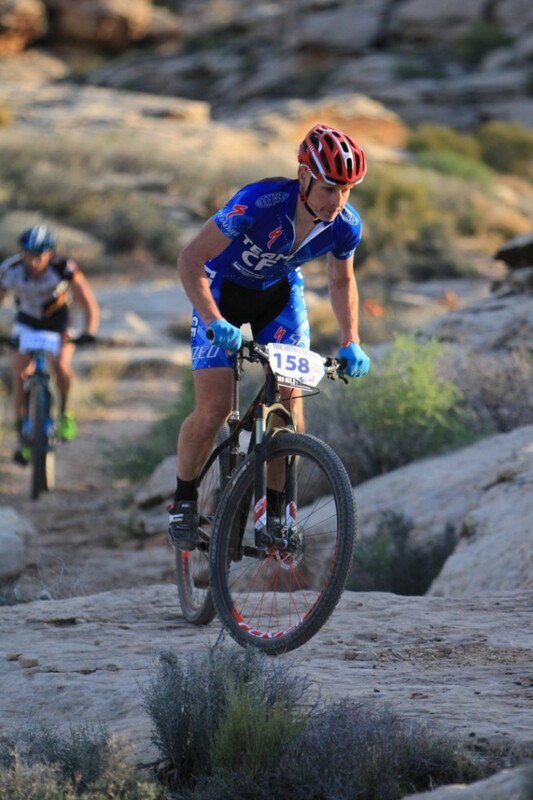 Brock Cannon, local to the St. George area, took 14th in the 100 mile mens open. Chacon said that he was one of only two locals to participate in the 100 mile event. 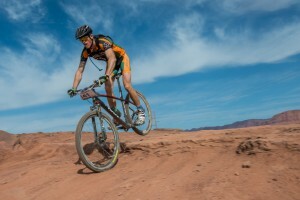 The other was Kenny Jones who competed on a single speed. UPDATED March 19 2013 – Last paragraph added to acknowledge two local competitors in the 100 mile epic. John, at the bottom of the story is a RESULTS section – PDF links are attached with the results of all three races. Updated March 18, 2013, 8 a.m. all results posted. Many thanks to the St.George News for posting this story and all of the wonderful pictures.